A California concert-goer has hit Ticketmaster with a class-action lawsuit alleging the ticket-sales giant engaged in an illegal scheme that cost ticket buyers and secretly facilitated a secondary-ticket resale-scalping operation, according to the suit filed last Friday (Sept 28th) by Hagens Berman. The class action was filed in the U.S. District Court for the Northern District of California and states that Ticketmaster LLC and Live Nation Entertainment Inc. – collectively as Ticketmaster – knowingly worked with ticket scalpers purchasing tickets off its primary site to make money off of secondary ticket resales. The law firm is seeking to represent consumers who purchased secondary market tickets through one of Ticketmaster’s fan-to-fan resale sites (such as TicketMaster.com/verified, TicketExchangeByTicketmaster.com or TicketsNow). If you believe you have been affected by Ticketmaster’s scheme and purchased secondary market tickets through one of these sites, find out more about your rights via hbslaw.com. The lawsuit states that Ticketmaster has worked with scalpers to obtain a second cut on the ticket resale from scalpers to show-goers, an amount that is even more than the original cut Ticketmaster receives selling the ticket to scalpers. “When you think of ticket buyers being swindled by scalpers, you likely imagine last-minute sales outside venue doors. You certainly wouldn’t assume the company selling the tickets – Ticketmaster – to be the ringleader behind massive price hikes spanning millions of tickets,” states Steve Berman, managing partner and co-founder of Hagens Berman. Well known to fans and event attendees, when Ticketmaster tickets go on sale, scalpers, using bots and fake identities, immediately scoop up available tickets, forcing legitimate fans to pay top dollar to attend. “What has been uncovered recently is that not only did Ticketmaster fail to remedy this ongoing illicit activity – unlike its competitors – but it actively facilitated scalping of its tickets because, behind the scenes, Ticketmaster has been raking in profits from these deals, looking to cash in twice,” Berman says. According to the lawsuit, and video by undercover reporters for CBC News/Toronto Star, Ticketmaster has developed a professional reseller program and within the past year also launched TradeDesk, a “web-based inventory-management system” for scalpers. The system allows scalpers to upload large quantities of tickets purchased from Ticketmaster for quick resale. Before TradeDesk, Ticketmaster provided scalpers with access to a similar system known as EventInventory. “The resale program and TradeDesk appear closely guarded by Ticketmaster,” the suit states, based on reports from the Los Angeles Times. “Neither TradeDesk nor the professional reseller program are mentioned anywhere on Ticketmaster’s website or in its corporate reports… To access the company’s TradeDesk website, a person must first send in a registration request.” The suit states that some scalpers using the system have moved upwards of five million tickets via TradeDesk. Ticketmaster receives a kickback, or second payment, from scalpers who use secondary resale sites, according to the class action. The suit also states that Ticketmaster reportedly held a private event for scalpers, where its rigged system was revealed by a team of undercover journalists posing as scalpers. They also uncovered Ticketmaster’s “Professional Reseller Handbook” which exposes that the company runs a reward program to further incentivize scalping on Ticketmaster resale consumer websites. 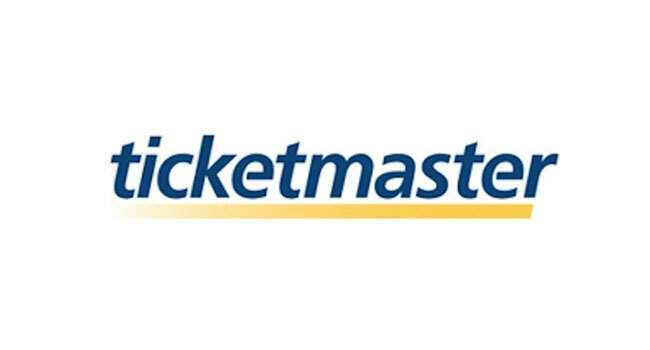 Ticketmaster’s scheme flies in the face of its official code of conduct for sellers that specifically prohibits them from purchasing tickets that exceed the posted ticket limit for an event, and prohibits the creation of fictitious user accounts for the purpose of circumventing ticket limit detection in order to amass tickets intended for resale. Ticketmaster has denied these claims. “It is categorically untrue that Ticketmaster has any program in place to enable resellers to acquire large volumes of tickets at the expense of consumers,” the company says in a statement.